One of the fiercest battles of the Great War was the “Battle of the Somme“. The battle opened on July 1, 1916, a day upon which the Newfoundland Regiment (then not part of Canada) was almost annihilated. 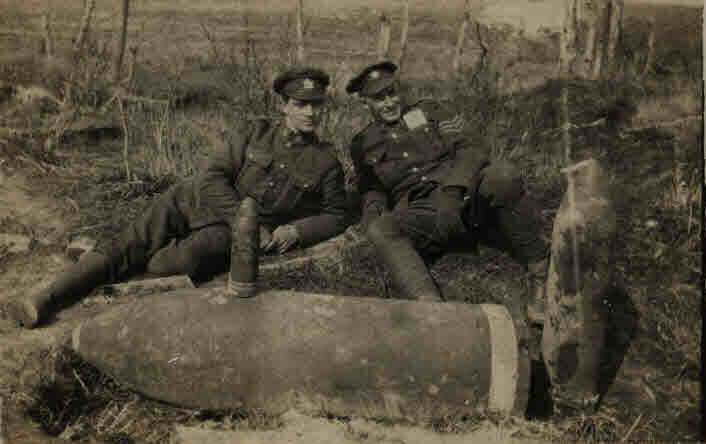 The Canadian’s were the primary force in the Battle at Courcelette in October and November 1916. The 1st, 2nd and 3rd Canadian Divisions arrived on August 30th 1916 to relieve the ANZAC (Australian and New Zealand) forces near Pozieres (between Albert and Courcelette). 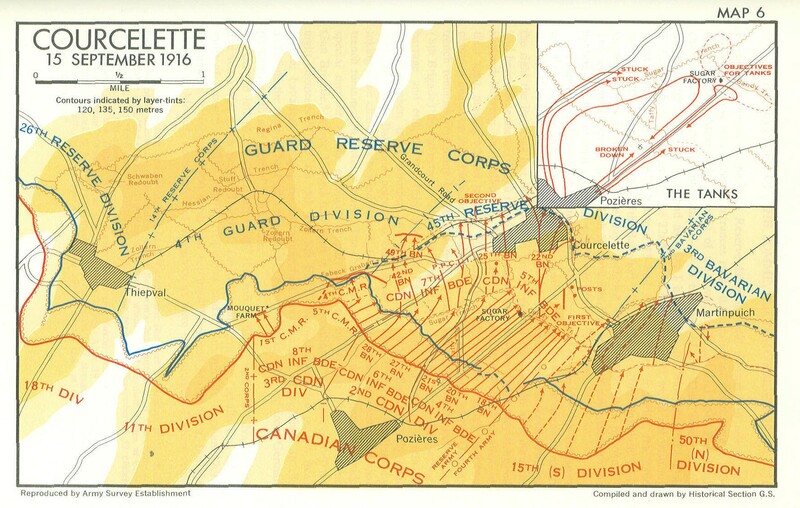 Those divisions remained there until October 17, 1916 at which time they were replaced by the 4th Canadian Division. The total Canadian battle casualties at the Somme were in excess of 24,000 (killed, missing and wounded). The Commonwealth War Graves Commission (CWGC) records 8,168 fatal Canadian casualties in France during the period September 1, 1916 to November 20, 1916. For further information on the battle, please refer to Chapter 6 of Nicholson’s history of the Canadians in the Great War. 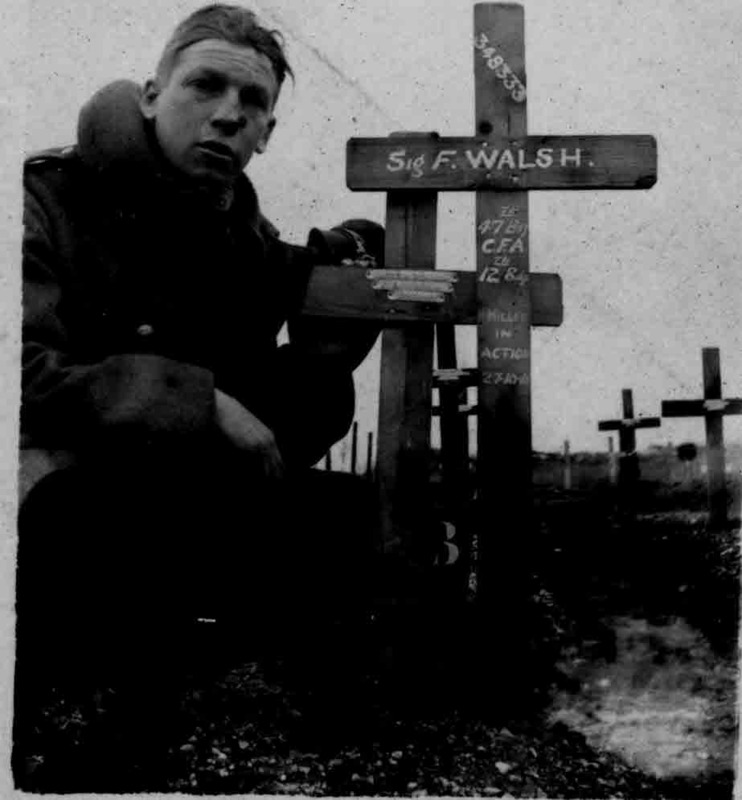 There were six (6) photographs in the Anderson Fond’s that show the devastation at Courcelette, plus the images of the grave of Private Frederick Walsh. 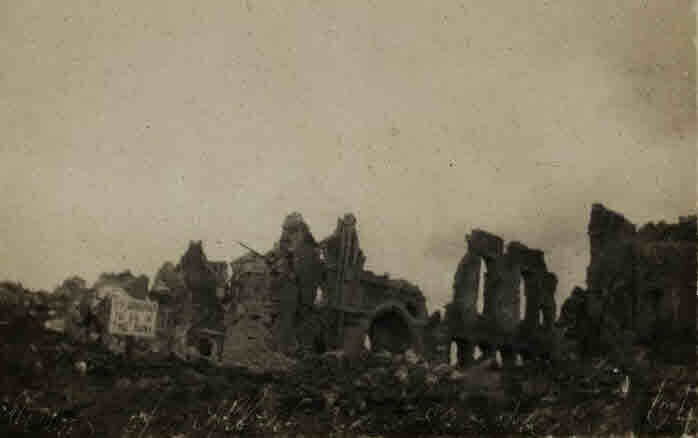 The 1st photograph illustrates the destruction of the City of the Albert, to the southwest of Pozieres caused during the German assault on the Somme countryside. 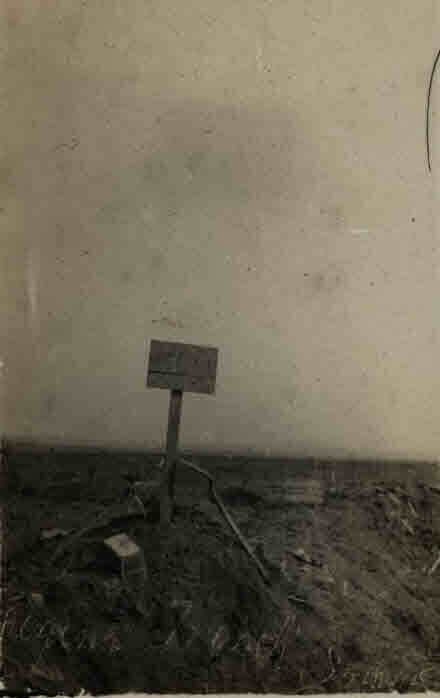 The 2nd photograph is a historic image of Regina Trench, shown just above the words “4th Guard Division” in the map above. The capture of this trench and the liberation of the Village of Courcelette, was the primary goal of the Canadians. 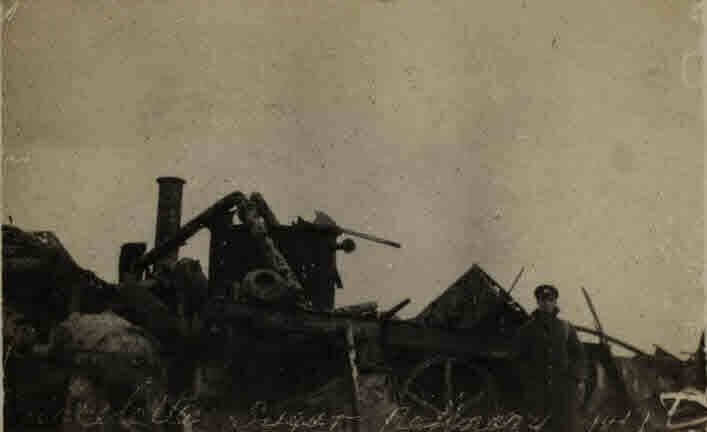 South of the Village of Courcelette, on the advance front from Pozieres, was the “Sugar Factory“, as depicted in the 3rd photograph. It was here that many Canadian soldiers paid the ultimate sacrifice, including Private Frederick Walsh from Milton, Ontario. The last three pictures show the spoils of war, as capture on film and depicting the “Sergeant” (who we believe was with the 75th Infantry Battalion, 11th Infantry Brigade, 4th Canadian Division). 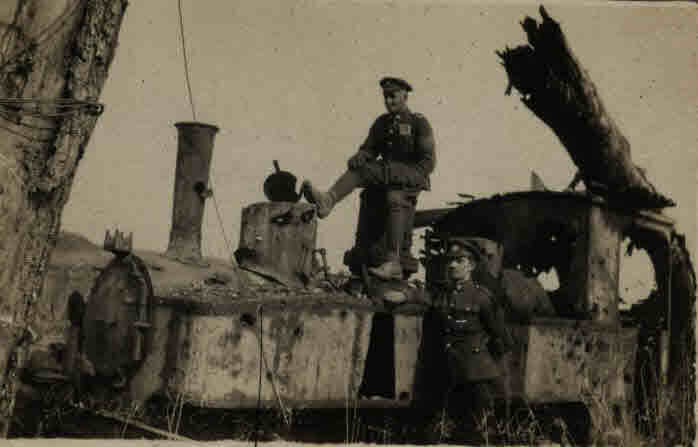 The date on picture #3 appears to read 1917, suggesting not all of these pictures were taken post war 1918. C3: Courcelette Sugar Refinery. This is where Fred (Walsh) was killed. 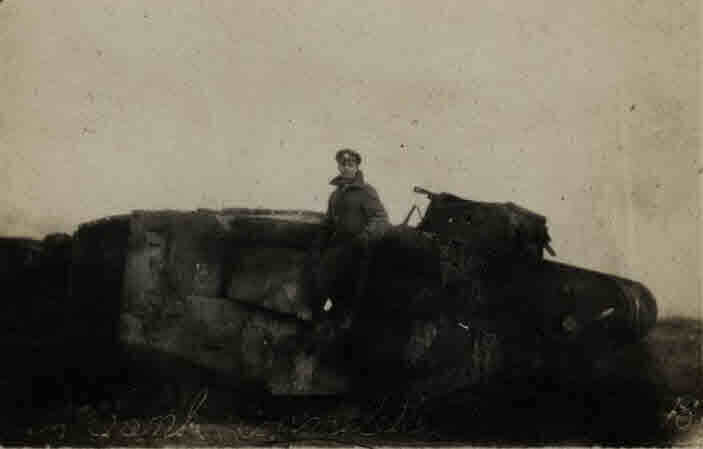 C4: A wrecked tank at Courcelette on the Somme.